Take for example when your 2014 BMW i3 BEV is supposed (hmm, rather BMW want you to), to go in for a software update. Well, at this point we are rather behind, I think this is software update number 3 and we haven’t been in for any yet – Oops!! Well, when the car is all working perfectly well, I am always reluctant to make any changes. What’s that phrase? If it isn’t broken, don’t fix it! However, I am feeling under pressure to take the car in so I reluctantly email JMK Service for an appointment, being careful to wait until after National Drive Electric Week – I wouldn’t want to be without the i3 for all those events. I’m booked, well the i3 is, for Wednesday 24th September. I’ve declined a loaner car as there is no way on this planet I am ever having a BMW petrol loaner again. You’ll just have to read my previous blogs on that experience to understand why. Needless to say it was a very unfun (I think I will start to create my own words from now on – I’m sure the Oxford English Dictionary will want them!!) experience. Just imagine, jerky, noisy and smelly, super magnified. And, well, we do kind of have a garage full of EV’s so we don’t need a loaner car anyway. We’ll take two cars there to drop off the i3, drive back in one and then go pick it up and drive two back. A little hassle but worth it not to have the petrol loaner car. Anyway, the day before the software update, my side kick gets an email reminder for the update which he dutifully sends to me seeing as I am the one in charge… HaHa! I notice on the email that it says ‘I3 LOANER VEHICLE ONLY’ (Not my choice for all capitals). Hmm, could this be that they have an i3 loaner at JMK BMW? A quick email to the man in charge (Manny) and apparently, yes they do. Well now this changes everything. As it happens the i3 loaner is available so I change my mind about having a loaner and ask for the i3. They say yes and it’s all agreed. Wednesday 24th September arrived and we drove to JMK BMW to drop off the i3. When we arrived, the service advisor that we were sent to kept going on about bringing the car in for a service… No, not a service but a software update. Oh dear I do hope he knows what he is doing. I also made sure that they wrote in big letters, DO NOT WASH on the ticket. I do not want them washing the car, one, because of the stickers we have put on and two, it’s going to rain on Thursday! Car key handed over rather reluctantly after showing them the split rubber seal on one of the rear doors. They will order a replacement part – Jolly good! Then it’s a wait for the i3 loaner. We chat with Manny while we wait, who by the way, now drives an i3 too. Apparently the i3 loaner is the same colour as ours – nice but, and this is a humungous BUT – It’s a REx…. Nooooooo! Ugh, oh well testing time then, I guess. We get in the car and while it might be the same colour on the outside it isn’t on the inside and it’s just not to our liking. 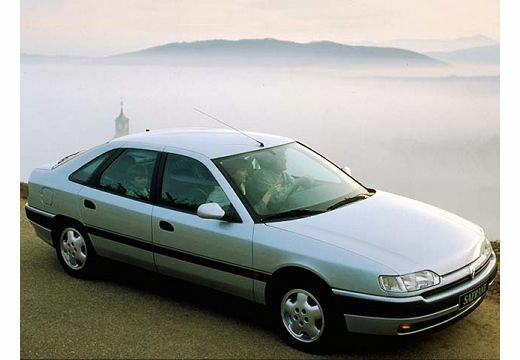 Oh well, looking past the brown interior… What will the car be like with the added weight of the petrol engine (shudder at the mere mention of an engine)? 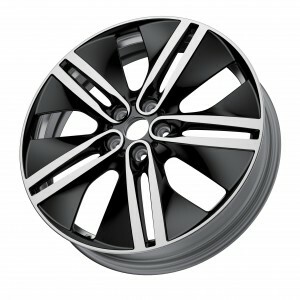 Oh, and the car has 19″ wheels instead of the 20″ wheels on our i3. This is going to be interesting or disastrous. Well, first things first, it’s still quiet and smooth, that’s a good sign. We have a full battery and with our drive only being 10 miles to get back home it’s unlikely we will need the REx – Phew! I dread the thought of that turing on! But what is instantly noticeable is how queasy I am feeling already – we’ve only been on the road 5 minutes. The car has a noticeable wibble to it and what feels like a softer suspension than ours. When my sidekick pipes up and tells me that he feels queasy we know there is something wrong. Flash back to December 2013 when we were invited to BMW HQ to test drive the i3. We didn’t like the car then and how it handled. We weren’t impressed and we didn’t want one. The test drive cars all had 19in wheels. It made us feel queasy so we wrote the car off at that time and said we wouldn’t have one, not ever. However, to keep hold of the BMW ActiveE for longer we put in an order for one but with no intention of ever taking delivery. You can read here how that changed! 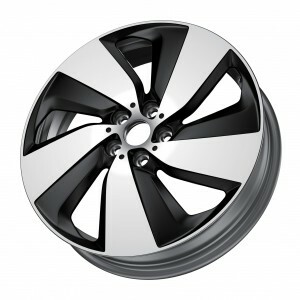 So, if the i3’s at that test drive had had 20″ wheels would we have felt totally differently about the i3? Well, maybe we would, as we wouldn’t have felt queasy and been put off by the serious wibble of the car. 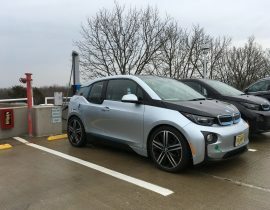 Back to the i3 loaner – We took a trip to Short Hills Mall and, oh my gosh, I feel so sick, it’s the kind of feeling you get after being on one of those awful fairground rides. Well, you do if you are me anyway! And we have to get home again – Oh no. We had thought about testing out the engine, you know just to see, but after the two short trips we did, no way could we have driven any further to run the battery down. And anyway I’m not sure I’m really that bothered, I don’t want to burn any petrol, particularly if it is totally unnecessary. Now find me some solid ground so I can stop my stomach from swirling! The next day we took the car back to pick up our i3. Feeling queasy for the majority of the journey, we were extremely glad to hand over the key. We are given the report of the work done on the car but I can’t find what software update we had done. So I asked, ‘What software update did we get and can we go back to a full charge rate?’ After being stared at blankly, the guy disappeared to find the service advisor, who also looked rather blank. He too disappeared to reappear a few minutes later with Manny – fortunately he knows what software update was performed. Thanks Manny for your invaluable level of knowledge on all things i3 related. It turned out we had the latest software update for the i3 BEV and the update that reduces the charge to keep the onboard charger from over heating. There’s a fix coming for that soon apparently, and hopefully. Back to our i3 and oh my goodness what a difference. The suspension feels firmer, the car is stable and not wibbling (I do like that word!) back and forth and side to side when we accelerate and slow down. We no longer feel queasy, thank goodness. In conclusion – the wheels make all the difference!!! Oh and the 20’s do look an awfully lot better too! NOTE: All cars that we have ever owned have been purchased on queasiness factor – if they didn’t have a firm suspension with no wibble then it was always a definite no go – that hasn’t changed. Apart from the one mistake that we made – it only lasted a few months before it was promptly sold!